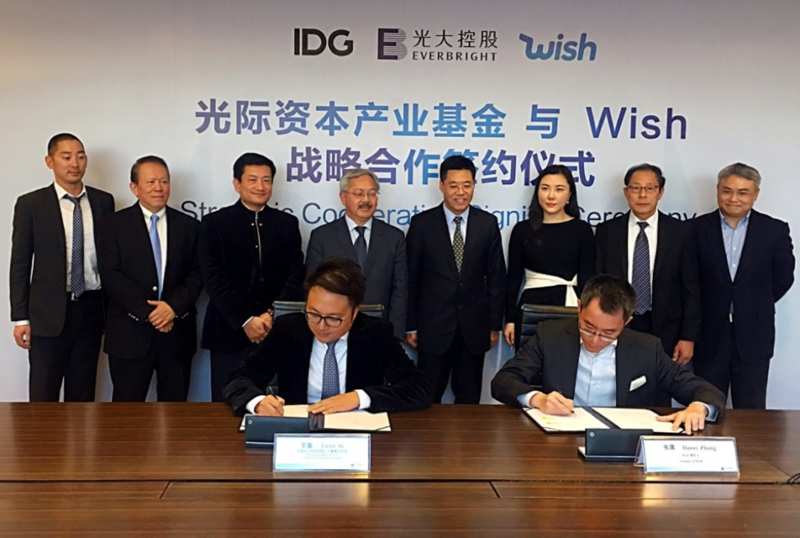 Everbright-IDG Industrial Fund (the “Fund”) , which joinly founded by China Everbright Limited (“CEL”, stock code: 165.HK)announced that the Fund has signed a strategic cooperation framework agreement with Wish, the world’s leading cross-border e-commence platform. Per the terms of the agreement, Fund will provide financial resources to help Wish expand its market presence in China, while Wish – a leading mobile shopping app and Silicon Valley unicorn – will act as an important strategic investment partner of the Fund and CEL overseas. 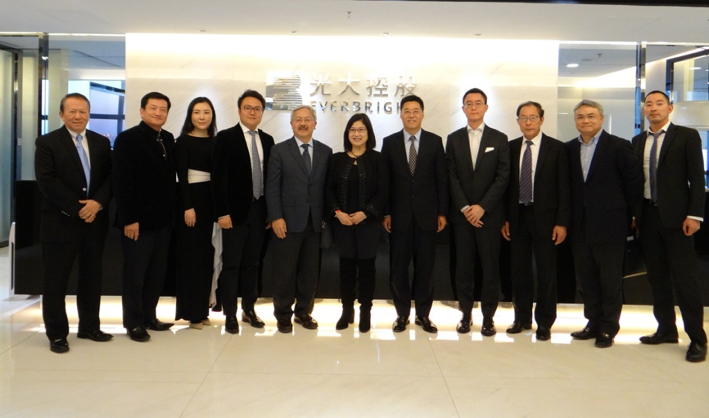 Wish will also collaborate with chambers of commerce and governments across Silicon Valley to consolidate Wish and the Fund’s advantages in cross-border business and forge strong partnerships. Present at the signing ceremony were government officials, top company management from China and the US, and leading Silicon Valley executives. They included Edwin M. Lee, Mayor of San Francisco, and his wife Mrs. Anita Lee, First Lady of San Francisco; Louis Lam, Director of TCM Investment Inc. and President of American Teo Chew Business Association; Danny Zhang, founder of Wish; Chen Shuang, Executive Director and Chief Executive Officer of CEL; James Pan, Member of the Management Decision Committee of CEL; and Victor Ai, Managing Director of CEL’s Super Project Acquisition Fund Team. One of China’s leading cross-border asset management platforms, CEL launched an aggressive growth strategy in the technology, media and telecommunications (TMT) field this year. The Fund was established in June 2016 as a joint industrial M&A investment fund concentrating on mature large projects in TMT as well as culture and education. Under the framework agreement with Wish, the Fund will enter into diversified strategic cooperation with first-tier TMT enterprises in Silicon Valley to seek mutual benefit and development potential in both domestic and overseas markets. Wish is currently one of the most popular mobile shopping apps in Europe and North America. The company was established in 2011 by Peter Szulczewski and Danny Zhang, the earliest developers of the self-learning algorithms for the Google and Yahoo! search engines. 80% of Wish's suppliers are small- and medium-sized merchants in markets such as China and Mexico. Its customers are mainly low- and middle-income young families, a user group that is sensitive to price and is in the habit of using mobile social apps. Since transforming into a cross-border e-commerce company in 2013, Wish has grown into a vast C2C platform featuring “mobile terminal + intelligent recommendation + cross-border e-commerce”. In less than four years it has generated annual GMV (gross merchandise volume) of more than US$3 billion in mature markets such as Europe and the US. Only four other enterprises in the world (Uber, Didi, Taobao and eBay) have recorded GMV of over US$2.5 billion in their fourth year of operation. A leader in mobile cross-border e-commerce, more than 95% of Wish’s orders come from mobile terminals.